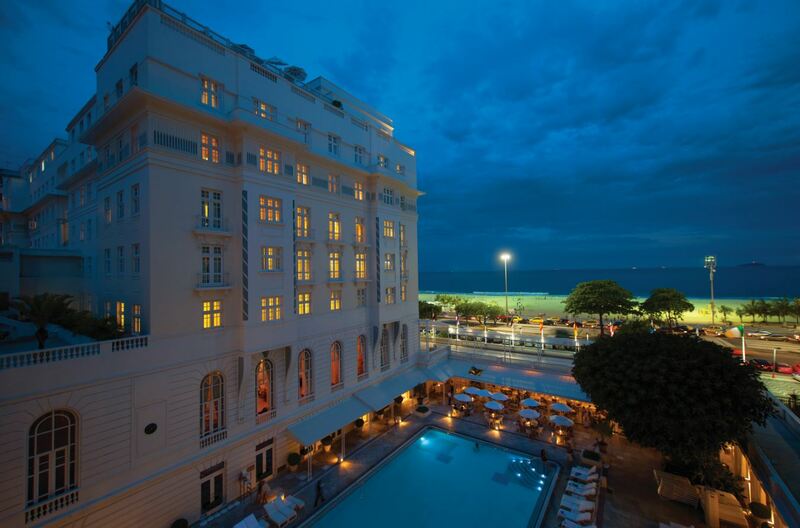 Today, one of the world’s most iconic hotels, Belmond Copacabana Palace starts a new chapter in its extraordinary history with the opening of Pérgula; bringing to Rio a new sophisticated and relaxed all–day dining offering. Designed to reflect the spirit and soul of Rio, Pérgula offers one of the city’s most authentic Carioca restaurants and vibrant day-to-night bar scenes in the heart of Rio. Light, locally-inspired dishes are enjoyed as tropical cocktails flow to the sound of samba; inviting the Carioca-set and stylish globetrotter to kick back a while and soak up the atmosphere. 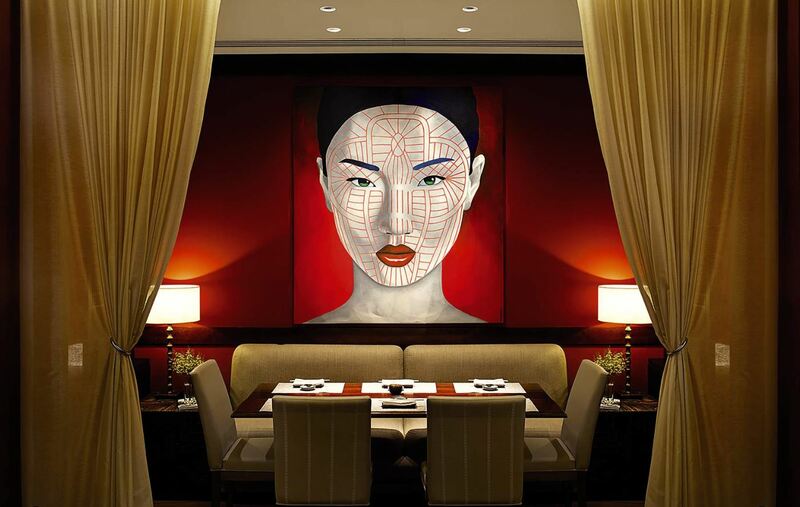 The new restaurant helps secure the hotel’s position as a leading gastronomic hub, joining Ken Hom’s Michelin-starred MEE and Italian favourite Cipriani Restaurant. Pérgula serves modern Mediterranean cuisine through a Carioca lens, specialising in signature dishes prepared on a handcrafted grill, theatrically on show through a large picture window that allows guests to witness the chefs in action. Menus embrace the local appetite for healthy living and eating well, featuring an abundance of fresh grilled fish, homemade pastas and local delicacies. 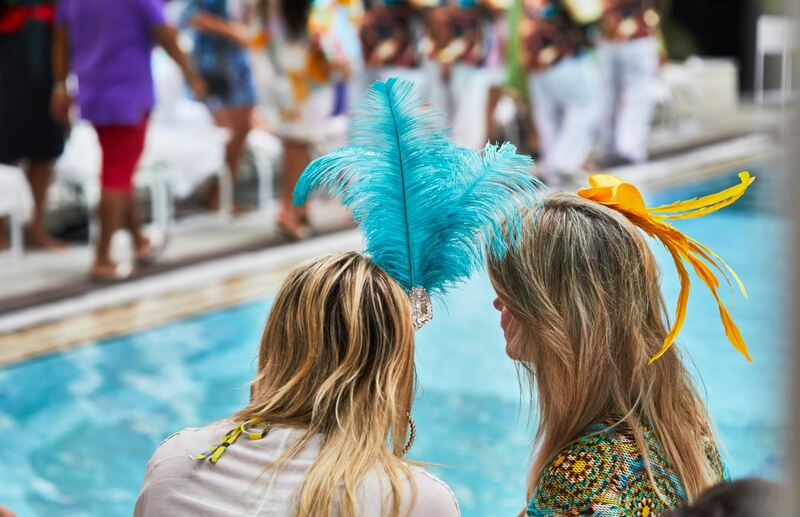 The Pérgula Poolside Verandah & Pool Bar, which overlooks the world-famous ‘Copa’ swimming pool, doubles as a chic all-day dining spot and by night transforms into a glamorous setting under the stars for upbeat tunes and the best caipirinhas in town. A local delicacy and a must try for visitors, The Tapioca Pancake Counter is located inside the main restaurant and serves delicious sweet and savoury organic pancakes; ideal for a light breakfast or indulgent snack. In early 2018, the restaurant will boast the Pérgula Outdoor Ocean View Terrace giving all-day diners front row seats to Rio’s dreamlike views over Copacabana Beach. An iconic symbol of Brazil, the rustic caipirinha has been given a contemporary twist for the cocktail-loving crowd with the introduction of three different flavours – ‘Classic’ ‘Maracuja’ and ‘Sazonal’ – expertly made tableside from a bespoke Copa Caipirinha Trolley. 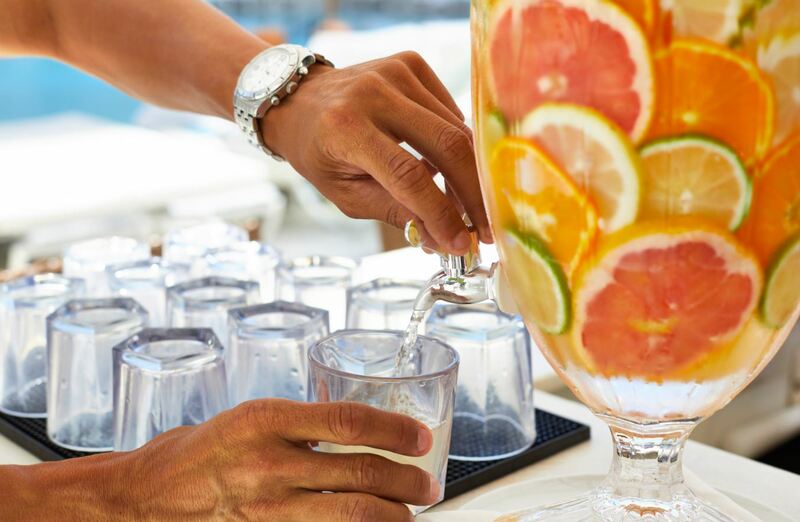 Using freshly squeezed fruit juices and the hotel’s own ‘secret recipe’ sugar infused lime oils, there is no better place in Rio to savour the flavour of Brazil. Joining the line-up of classic tipples with a difference is Batidas, a variety of creamy thick cocktails made using local ingredients such as homemade corn milk and local jack fruits. Freshly squeezed juices, house made ingredients combined with premium spirits make up the beautiful and luxurious Pérgula Tropical Slushies. 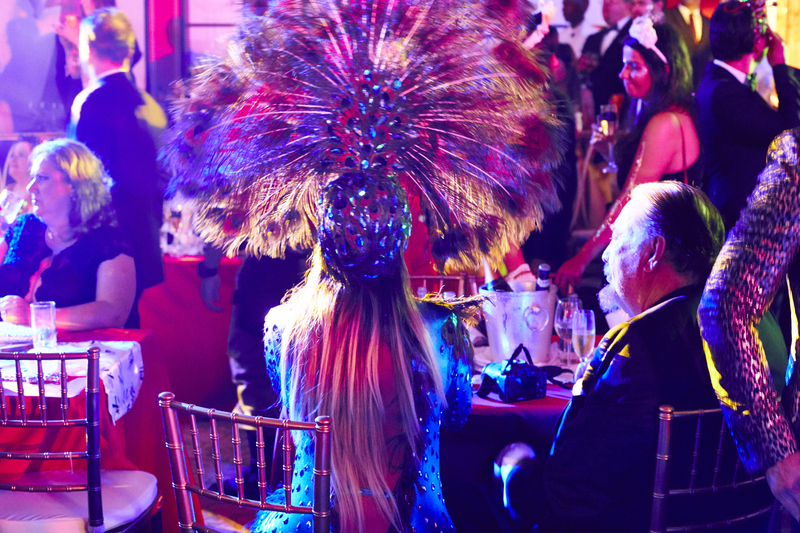 Guests can also indulge in signature Coconuts, cocktails made with Amazonian fruits – the perfect long drink to enjoy time by the bar as the team regale tales of the famous faces of Belmond Copacabana Palace – Marilyn Monroe, Rita Hayworth, Nelson Mandela, Madonna and regular Brazilian supermodel Gisele Bundchen. As the sun goes down, Pérgula comes alive as a super-stylish evening night spot. The sounds of contemporary Bossa Nova get the party atmosphere started with the best local DJ talent in-house from Thursdays through to Saturdays; spinning eclectic international tropical and Brazilian beats. During the day the pool echoes with the soft sound of classic Bossa Nova and samba beats with a smattering of vintage cocktail jazz by famous artists, such as, João Gilberto, Elis Regina and Tom Jobim. Interior designers, Nathan Hutchins and Inge Moore of London-based Muza Lab were appointed by Belmond to encapsulate the glamour of the hotel’s heyday in a contemporary design aesthetic. The beauty of Pérgula is its ability to connect guests with the vivid life of Copacabana Beach on one side and the exclusive intimacy of the pool with its tropical landscape on the other. For the first time, the opening up of the space allows even guests dining in Cipriani Restaurant to see right through to the beachfront. Base tones of chalky white and anthracite are inspired by the facades of the original Joseph Gire building and Burle Marx Copacabana Beach promenade. These are layered both inside and out with shades of green and yellow. Brazil’s rich heritage can be felt throughout; in the indigenous stones used in its characterful mosaic floor and exquisitely veined table tops, to the art deco-inspired reeded glass pilasters. At one end of the dining room, an open wood-fired charcoal grill brings drama to the space; at the other an original artwork by local painter, Dominique Jardy, becomes a “window” onto the imagined flora and beach of Copacabana as it might once have been. Carioca classics, such as Sergio Rodrigues’ “Oscar” dining chairs and contemporary designer Ivan Rezinde’s console tables, lend Pérgula a timeless sense of place. An antiqued mirror ceiling captures oblique reflections and snatches of colour and candlelight. Guests can lounge in swimwear by day and sparkle in evening wear by night, never losing a sense of the hotel’s glamorous Brazilian roots. Pérgula opens for breakfast through until the early hours. The pool bar menu is served from late morning and tables can be reserved in the main restaurant from midday to 11.30pm. The Tapioca Counter is open from breakfast throughout the day, and the tableside Caipirinhas are available from midday until late. Room rates at Belmond Copacabana Palace, Rio start from £260 / R$1.085,00 + taxes per night based on two people sharing a City View Room.